DAR-ES-SALAAM, Tanzania — Treating mental health in Tanzania is still very much an uphill battle. Annie Ljungqvist is a native of Tanzania who founded Bloom Consultancy. As a resident of Dar, Ljungqvist, Mariam Mdope (co-founder) and their team want to help others in Tanzania with their personal and professional growth. In turn, by working with other Tanzanians, Bloom Consultancy hopes to reduce some of the negative stereotypes about mental health in their home country. Ms. Ljungqvist was kind enough to sit down with The Borgen Project and provide one on one insight into her company. The story behind Bloom’s birth and its programs starts with a personal journey. Before branching out on her own, Ms. Ljungqvist felt that she wasn’t doing enough to give back to her country. She had trouble finding a job that would allow her to do more in her field, psychology. Her end goal was to give back to people in her community in a way that would help them attain higher living standards. Tanzania is still a developing country, and Ms. Ljungqvist wanted to help it develop. The co-founder of Bloom, Mariam Mdope also wanted to leave her current job in the banking world and do more to help Dar. She wanted to focus more on helping professionals through coaching to help people succeed in the different stages of their careers. Bloom Consultancy was born under a shared desire to do more based on one’s aspirations to BLOOM! Bloom is still a relatively young company. It offers services to support corporate clients in team building exercises by using behavior and psychological approaches towards workshops, coaching and individual counseling. The organization has also designed a kit for young women and girls working in rural agricultural areas and are about to start a life skills workshop for adolescents. When speaking with Ms. Ljungqvist, The Borgen Project asked what inspired her to go back home to Dar and work in the mental health field; her answer was a rather intimate one. Growing up in a multicultural family environment and international culture, Annie Ljungqvist was witness to many different lifestyles and child-rearing practices as well as various languages and their interpretations. All these experiences boiled down to one common theme: human behavior. These observations led her to the field of psychology. 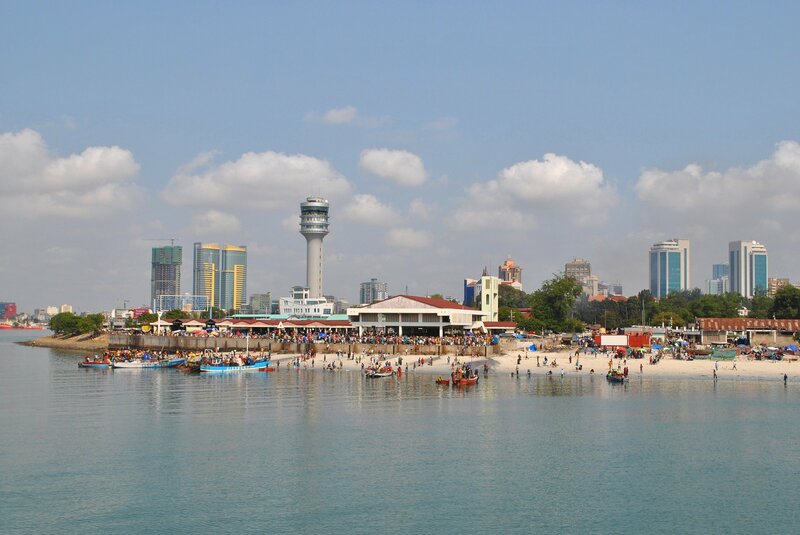 Dar-es-Salaam (Tanzania) is a part of who Annie is, and it is where she calls home. Going back home felt natural. Annie believes Dar has done well in the field of psychology, but there is still more work to do to improve the standards for its people and help those in need. There is still a lot of stigmas in Dar when it comes to asking for professional help. Ljungqvist and her partners believe that the stigma stems from the locals not fully understanding what mental health is. Some of the biggest challenges that people in Tanzania face regarding mental health are the stigmas around the issue. “Many people identify mental health as mental illness, and these are two different things. When someone seeks help, they are usually labeled as ‘crazy’ or ‘weird’, which is not true. The reality is that they see the world from a very different perspective then what the average person sees. What they view and experience is just as real as what we see.” Bloom Consultancy is working to break down the stigmas of seeking help for mental health issues. One way that Bloom Consultancy helps break the stigmas is by showing that mental health is no different from physical health. “Having a mental illness is like having a physical illness- there are treatment plans and medication. Taking medication or going to therapy is similar to attending physiotherapy and taking pain meds to help you heal from an injury. You shouldn’t be ashamed to take care of your WHOLE self.” Helping people see the similarities and importance of mental health care is one of the best ways to help them overcome stereotypes. The biggest battle for mental health in Tanzania seems to be there are not enough qualified professionals even though there is a large demand from patients. General practitioners treating other ailments will not consider the mental health status of their patients; therefore, they will not refer or advise them to seek adequate care or support. There is also a disconnect between private and public practices, which means that some clients may not be aware that you can seek other services elsewhere. As in every country, there is a dark side to mental health. A lot of patients in Tanzania who have developmental delays, epilepsy, neurological problems or psychosis are usually locked away by their families in fear. Most patients who end up in the psych wards have all visited witch doctors in an attempt to heal their psychological disorder prior to being admitted. Sometimes cultural values and religions interfere with treatments as well. Clients also struggle to believe that confidentiality will not be broken. Ms. Ljungqvist has heard clients admit they have traveled abroad or sought online help to avoid the possibility of their problems being brought to the public. This also complicates transparency in treatment because they are scared to be completely honest with their doctors during sessions. Psychology isn’t a popular profession in Dar. In fact, degrees must be sought out from other countries due to a lack of psychology programs in the country. The acknowledged psychology fields in Tanzania are educational psychology and clinical psychology. You can only get a license to practice if you have an MSC in Psychiatry because of the medical background. Unfortunately, this leaves room for practitioners who are not qualified to call themselves ‘psychologists’ and negatively impact the work that honest practitioners do. Ms. Ljungqvist, Ms. Mdope and Bloom aim to continue to motivate the people in their home country. With every success story, this new start-up is more encouraged, inspiring it to continue to provide support and care. If you visit their website, you can see that Bloom uses the cherry blossom as its logo. The cherry blossom symbolizes humility and hopefulness. Bloom Consultancy hopes that this representation gives optimism to a brighter future for those in need and a better outlook on mental health in Tanzania.